A dear friend of mine, Elyse, passed away this week. Wow, that's hard to write. It makes it seem more real, somehow. Living three hours away from her, it's much nicer to pretend it's not true. She had a brain tumor. She learned of it 10 years ago, right after her youngest child was born. It was inoperable, and she went through a lot of chemo and other treatments to try to get rid of it, or at least keep it under control. It finally got the best of her physical form, but her spirit never wavered. She was such a beautiful soul. She had an amazing smile, and it was always peeking out of her eyes. 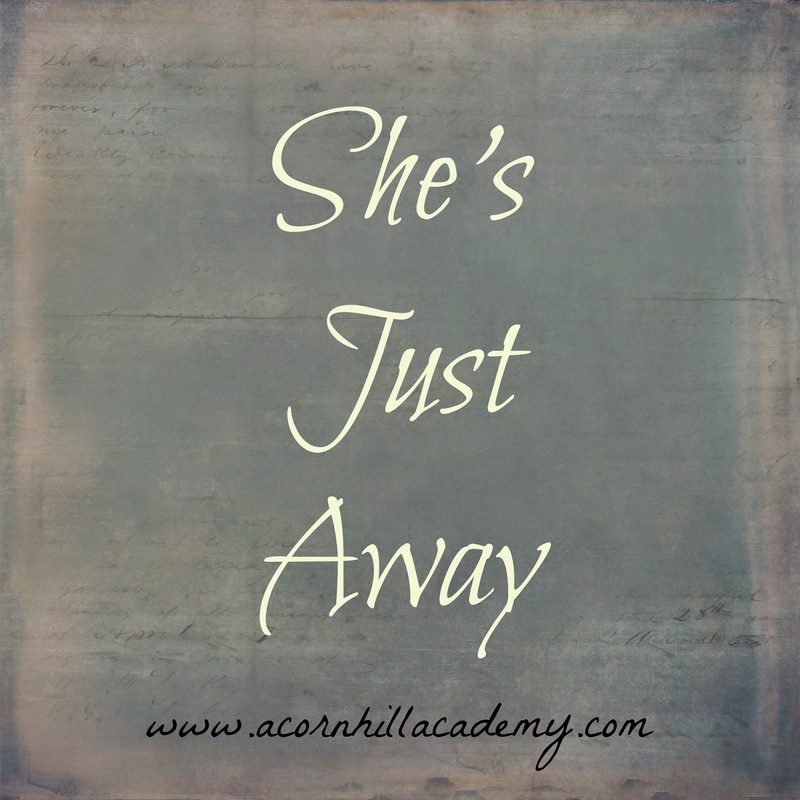 She was a homeschooling mama of five, and I wonder what they will do without her? I remember her telling me that people often advised her to put her children in school, but she kept them home, because she didn't know how much time she had and she didn't want to miss any of it with them. She was one of the first friends I made who introduced me to Charlotte Mason. She told me she wished she had been educated with Mason's principles, and wanted to be sure her children were. She led book clubs and taught other people, because she believed passionately in a living education. I want to share a poem with you. It's called "Away" by James Whitcomb Riley. I saw bits of it on headstones at the cemetery in Old Salem, on the graves of men I would guess were soldiers killed during World War II. Of his warrior-strength to his country's foes–. The first three stanzas bring Elyse to my mind, particularly the bit about the cheerful smile and wave. In my mind's eye, I see her beautiful, mysterious smile, eyes lit with joy as she sees heaven waiting, and she lifts her hand to wave as she steps beyond the veil. I know I will see her again, but in the meantime, I will miss her so very much. She is not dead–she's just away–and I know heaven rejoices in having her, for surely she is as dear there as she was here. Farewell, my friend.